Colas Rail Freight, Class 66, Co-Co, 66847. G&W/Freightliner, Class 66, Co-Co, 66413. GBRf, Class 66, Co-Co, 66731 'interhubGB'. GBRf, Class 66, Co-Co, 66705 'Golden Jubilee'. GBRf, Class 66, Co-Co, 66783 'The Flying Dustman'. DB Cargo Ltd, Class 66, Co-Co, 66097. EWS, Class 66, Co-Co, 66005. GBRf, Class 66, Co-Co, 66789 'British Rail 1948-1997'. GBRf, Class 66, Co-Co, 66779 'Evening Star'. GWR, Class 43 HST, 'Meningitis Trust Support for Life' Train (2 car unit). GWR, AEC Diesel Railcar, No. 24. RailRoad Yeoman Aggregates, Class 59, Co-Co, 59004 Paul A. Hammond. RailRoad Chiltern, Class 121, Driving Motor Brake Second, 121034. Pullman, 5-BEL 'Brighton Belle' Train Pack. GWR Class 153, DMSL, 153368. DCR, Class 56, Co-Co, 56303. Network South East, Class 50, Co-Co, 50033 'Glorious'. Loadhaul, Class 60, Co-Co, 60070 'John Loundon McAdam'. BR, Class 50, Co-Co, 50040 'Leviathan'. BR Intercity, Class 43 HST, 'Valenta' Powered Train Pack with TTS Sound. RailRoad BR Class 73 'E6002'. RailRoad BR Co-Co '37040' Class 37 - BR Railfreight with TTS Sound. BR Intercity, Class 87, Bo-Bo, 87010 'King Arthur'. 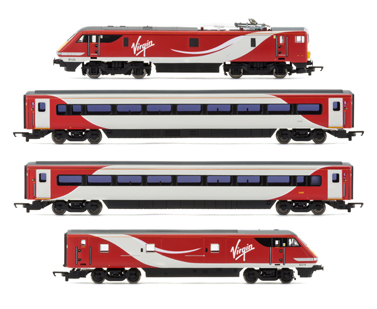 Hitachi IEP Bi-Mode Class 800/0 DPTS & DPTF Test Train Power Units Train Pack - Limited Edition. East Midlands Class 153 '153379'. Colas Rail Freight Class 60 '60087'. BR Class 50 'D400' - Special Edition. 'DB Schenker' '08623' with TTS Sound. 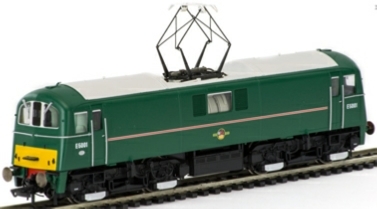 BR Plain Green Late Crest. No.13363. 0-4-0 Sentinel Industrial Shunter S10118, an ex-Kellingley Colliery locomotive, now resides at Crossley Evans Ltd’s eight acre waste management and recycling facility at Shipley. (Due to the limited space available, a unique decoder has been produced which is available here - Please Call). RailRoad Class 20 '20163' with TTS Sound. Featuring, Accurate running light modes, Cab lighting, Changeable Headcodes, Removable front valance panel, Sprung Buffers, Working Pantograph. 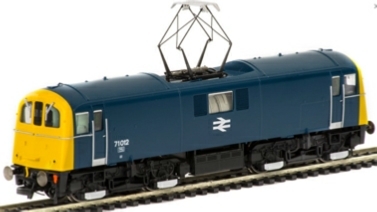 No.71012 in BR Blue with Yellow ends. No.E5001 in BR Green with small yellow panels - As Preserved. 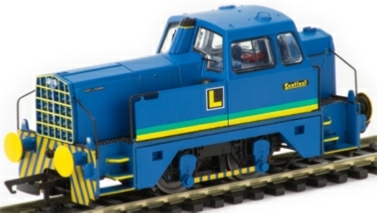 Balfour Beatty 4wDM 0-4-0 Sentinel Industrial Shunter. No. 90029 in DB Schenker Red. Class 31 A1A-A1A 31285 Network Rail. High Detail, Rotating fans, Directional lighting. 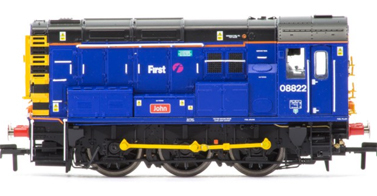 08822 'John' in First Great Western Livery. No. 56094 Colas Rail Freight Livery. Arriva Trains Wales blue livery. No 67003. A1A-A1A Brush Class 31. No. 31452 DCR Green Livery. 08417 in Network Rail Yellow. 2 car EMU 2653 in Southern Railway green. Ex SR 2-BIL 2-Car EMU, 2019 BR Green. 1960s Brown & Cream. Pack contains 1 Driving Motor Brake 3rd (Powered) & 1 Driving Motor Brake 3rd (Dummy). Highly detailed, Working table lights. BR Sub Sector Co-Co Diesel Electric '56127'.